In this large study, researchers authors interviewed 6,483 adolescents and surveyed their parents. They excluded anyone who had another mental health disorder, such as attention deficit hyperactivity disorder, oppositional defiant disorder (ODD) or conduct disorder (CD). McLaughlin said one of the most interesting things her team found was that very few of the adolescents who met the criteria for IED had received treatment for anger or aggressive behavior. More research needs to be done to determine if treatments that have been developed for ODD or CD anger issues would apply to IED as well. Additional research should also look into the risk factors for IED, she said. "We know not that much about course of the disorder... Which kids grow out of it and which kids don't?" Next entry »Weird science: Kitty litter increases risk of suicide? Load 'em up with sugar and caffeine, then medicate them when they act up. And we wonder why America is falling behind in education, and we have a drug problem. Absolutely right phillyboy - One branch of science develops the 1000's of chemicals to add to food and drinks. Another branch of science discovers 100's of personality disorders. They work together to grow their bottom line. It's great business. A great example of business networking to create sickness with chemicals, and provide drug solutions with other chemicals. It's a win-win. LOL ya addiction is funny. Smoke pot once in your life and get caught? The court system tells you you are a weak individual with a drug addiction. Buy any video game? It's sure to say "the most addicting game of the..." on it, but it's ok to be addicted to video games and no one says boo to that. I guess as long as you pick the right poison (a taxable, government regulated poison) then the government doesn't care. Not to mention some of the violent music they listen to and all the video games these days...blood...killing...explosions...one article said many teenagers prefer to live in this cyber world than in reality. Scary! I would vote for you! Please stop our politicians who are approving all kind of chemicals in our kid's food! Just beat the crap out of them when they act up. Don't brush this off too easily...anger management issues are accepted as reality, but is it that hard to believe that there's something more to it? My significant other has serious problems controlling his outbursts of anger, directed at completely inconsequential frustrations – a ziplock bag that won't close properly can cause an explosion for him, when any other person would shrug and find a new bag. He can't help it – it's not like he enjoys becoming explosively angry on a regular basis. I don't support over-medication any more than the next person, and I do feel that a lot of adolescent problems are blown out of proportion, but there's a difference between a constant, uncontrolled problem and an occasional temper-tantrum. I don't plan on even mentioning this article to my SO, but I hope that the studies on this continue in hopes of finding out if there's a specific hormone or lack there-of that could explain this problem. Funny, I get that way when I get shot in battlefield 3 all the time when I can't exact immediate revenge. Kay...I'm not a psychiatrist...but have you thought about getting a new SO...this guy sounds like a major loon and having to make sure that there are no faulty zip-lock bags in the house to protect his babysih temper tantrums would be a total buzzkill...get a set and dump the guy already. My son has this and it is very real. He hates that he has problems controling his anger/feelings. He's 15 and it's a hard time for him. We are doing counseling and meds. I would seriously reconsider staying with this guy. "He can't help it" is probably heard a lot in emergency rooms and eventually the morgue. Do NOT endanger yourself. It is often just a small step from explosions about ziplock bags (I mean, really!) to explosions about dinner, the housekeeping, your tardiness, your looks, etc. - with resulting violence. What would your SO do if he had a REAL PROBLEM? Maybe grab a gun? Too many times, this is what happens. Men don't get their way, then they resort to violence. Women can become violent too, but they are less likely to do such damage because they usually don't pick up a gun or heavy object to injure someone. Time to find another significant "Other". IMHO if you want to live. Hey Kay, 'm WITH YOU ALL THE WAY. I REALLY HOPE MORE RESEARCH IS DONE AND FINNALLY SCIENTIST WOULD COME UP WITH A TREAMENT. VERY INTERESTING ARTICLE. I'm MAD AS HELL .... and I'm not going to take it anymore!!! 5-7.8% "results" in a study depending on interviews? That's hardly good evidence of anything in the academic community – interviews are considered one of the poorest forms of reliable data collection, and to further apply this technique to teens who are known for their outbursts and underdeveloped brain regions (specifically, one of the ones in charge of impulse control) is questionable at best. Is every single behavior now going to be blamed on a Mental Disorder? I have Disbelief in Bullshin Pyschology Disorder now. Everything is good for you. Everything is bad for you. Any drug addiction is serious. Any video game/food/soft drink/television addiction is just good marketting. I guess what can you expect when we live in a society where no one wants to take responsibilty for their actions? It's like those people who are trying to say all kids with a cell phone should be required to use a TracPhone, that way their parents can know where they are at all times and if their kid gets in a wreck while texting and driving you can sue the parents. Ya know, because kids don't have any money and someone definitely has to be sued, and we all know kids aren't responsible for their actions (that's why 14 year olds get tried as adults, right?). hex 2323 this was the best comment ever!!!! most of the comments here are right on, yes we pigeonhole our kids & what we can't blame on a disorder we blame on the parents. But parents don't teach the same values as before. Kids are allowed to get away with everything at home, therefore have no respect for their parents, let alone any other authority figure. Teachers say they all have ADD or ADHD, so the kids are medicated as a means of controlling their behavior b/c the teachers aren't allowed to discipline them at all. However, I do believe that it is not just the parents, but that their diets contribute to some of this stuff too. We continually add more & more chemicals to our foods & genetically alter our seed crops to produce a faster growing, higher yield food product that stays fresher longer. It seems that there are more & more kid with food allergies. It has been proven that a gluten free diet will help kids with Autism, their aggressive behavior & hyperactivity changes notably once gluten is removed from their diet. I used to think it was bs, but discovered my son was mildly allergic to wheat & during the trial period he became less hyper when we removed the wheat. Idk – sadly it's all a vicious circle & while I agree that psychologists will call just about any twitch a disorder so they can feel more self important, I also encourage people to look at the big picture. Hey idunno...have you always been so fond of generatlizations and non-sequetors...breathe deeply and try to stay on point. Jesus Christ! Psychiatrists with their DSM bible would have us believe that almost EVERYONE has some kind of mental "disorder". So You Think You Can Dance Tour: I have yet to get tickets for this but I am deemreintd! This past season had an amazing cast and winner Melanie did not disappoint. See the 10 finalists perform old favorites and original pieces created just for the tour. October 12 at Allstate Arena in Rosemont. No kidding. It's called puberty. All those raging hormones just mess up the works. Duh! Let me translate – you mean "does your kid throw tantrums because you did a horrible job raising them?" It is hilarious when people blame the parents. We as society don't want to deal with educating our future generation, parents have to do it alone because they are their kids. Well, when these kids are adults, they will pay taxes for everybody else, they will pay SS for the rest of populations, they will be the healthcare providers, the care givers, they will provide the food, pave the roads, etc. for everybody but we, "everybody" don't want the hustle to contribute on their education. Perhaps the numbers of men that were abseud as children are much greater than the numbers the data suggests.Could well be. Of the males I've known who were sexually abseud as children, I would guess less than 10% of their cases were reported. Surveys of adults about CSA are probably more accurate, but still not 100% I'm sure. Psychology is becoming too much of a religion. The DSM would have every breath we take categorized and labelled in some form or fashion as a mental disorder. Conversely, try to define "normal" or "sane." It's entirely subjective, much like the DSM. If you don't believe me, check into any US elementary school classroom and see how many kids are "A.D.D." and medicated. Check into any US high school and see how many teens are on anti-this or anti-that drugs. It's scary. Yep. It's official. Childhood itself is now a recognized diagnosis. Maybe they'll come up with a pill for this one that won't turn kids into homicidal maniacs and suicide statistics. Sounds like a great way for some pharma company to sell more drugs. I hope parents don't fall for this one. 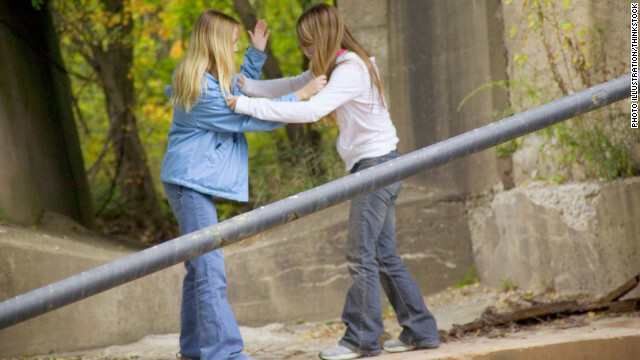 As a psychiatric nurse with experience treating troubled children and teens, I have a very different take on both Intermittent Explosive Disorder and Oppositional Defiant Disorder. I don't think either are psychiatric disorders, I think they are both reactions to inconsistent and/or rigid parenting. Every single child or teen I have ever met who was diagnosed with IED and/or ODD, without exception, has come from a home that is dysfunctional, with inconsistent rules, rigid and/or shaming adults, and not uncommonly, adults with their own anger problems. Alcohol abuse is very common. Reacting in anger is learned behavior, just as manners, politeness, and treating others kindly is learned behavior. If a teen has problems expressing anger appropriately, take a look at the adults in their lives – chances are they have learned at the feet of the master. mac101. Kudos to you. That is a truly professional AND compassionate basis that you are speaking from. Such a good reply. And, no, I am not being ironic. Your comment is exactly what came to my mind when I read this. Well... no, you put it spot-on. I could not have done that. Keep that fire going even if some do not like it. - And to some others here. Big Pharma must change. It will happen. Mark these words. They are not from me but they can be found on the web. And I think they are true. You are so right! My husband had problems with controlling his anger, so did his father. Once we start living together, I learned that he was educated this way, that it was OK to yell for every small thing like his father did. It took some time and patience from my side that turned him to a wonderful husband. I am not a professional, I just got emotional when he was angry and he learned to control himself just to make me happy. I'm glad I had the patience and gave him the time he needed. Mac101, I am a child and family therapist and deal with many teenagers that could be diagnosed with just about anything (ODD, CD, IED, Adjustment Disorder, etc.) and I have had the EXACT same experience as you described. Most of these children have been hurt emotionally and have learned that anger is a means of emotionally protecting themselves and dealing with their hurt and fear. If someone would take some time to talk with these children about how hurt and scared they are, they would be amazed at how normal these teenagers are. Guess the fee for taking the SAT are going to rise. Confused in NJ says:September 28, 2011 at 5:17 pmSeton Hall University is pnannilg to reduce its annual tuition by $21,000 for some incoming freshmen next fall. Incoming freshmen with high SAT scores and are in the top 10 percent of their graduating high school class would be eligible for the reduction. The university will match Rutgers Universitye28099s undergraduate tuition e28094 which is currently $10,104 for in-state students e28094 if freshmen score at least 1,200 on their SAT tests, have a composite ACT score of 27 or above and graduate in the top 10 percent of their high school class. Other students will continue to pay Seton Halle28099s regular tuition rate, which is currently $31,440 annually before room, board and other costs are added.Just glad my boy graduated S.H. in 1989. Wouldn't want to pay $31K+. #31 MattaxI tend to dis agree with Zillow.They base their Zestimate on property tax paid.I won a ralveeuation on my property.The same house on this same block,same layout from the same builder and the same upgrades.My house that was contested and lowered in property tax, Zestimate is $35,000 less than the same house that was not contested. They'll make up a disorder for everything eventually... Love your children and make personal sacrifices to spend time with them (not in front of the TV) and that will help them to learn the correct behaviors when they are frustrated. Teach them how to cope in a manner that gets their needs met. Whether that is compromise, explanation, or understanding, etc. And just because you are an "adult" or "parent" doesn't mean that you are infallible. Raising your child is not the time to be complacent, selfish, or ignorant to that responsibility. Put in the extra effort even if that means that you need to give up watching "Grey's Anatomy." Don't let the Scientology cult see this. And 1 in 3 Republicans has anger disorder too! 1 in 12 suffer from a sever anger problem? 11 in 12 sounds a little more accurate. I'll bet a paycheck that most of these kids with anger issues come from homes where there is no discipline or their parents use the distraction method to pause bad behavior. My neighbor's son definitely has it.. He is downright scary.. So that's the name for it. It's either genetic or learned as my father has it and so do I. I hope my son doesn't. Thanks for posting this . I have been looking for something like this . Great information I will check back for more info about Paleo Diet. We all know what anger is like as a teenager, it can take on many appearances. It can be a seething anger kept quietly below the surface, or a tidal wave released on everyone around them. Anger in teenagers usually comes from some unmet needs or heart-longing. Such “wants” can be immature and selfish; like wanting more material things (IPod, car, cool clothes.) Or the more complicated want for control and independence. But these can also be a smokescreen for deeper wants, like the want for love, acceptance. All these feelings have crossed our minds and they are part of being a teenager. Parents can definitely step in and nip this in the bud before a child gets out of control with their anger. A wise parent will discern the difference between temporary and immature fits of anger and the kind of anger that bubbles up from somewhere deeper in a teenager’s heart. Parents need to help their teen find the source of their anger, their unmet wants and express a desire to help their teen meet those deeper wants. If these wants simply cannot be met, or wouldn’t be the best thing for the child right now, then a parent can at least express empathy and explain ways for their teen to better handle their anger. Parents are responsible for creating an environment where solutions to inappropriate anger can be found, even in the face of their own feelings of anger. Shutting down an angry teen resolves nothing, though sometimes a timeout needs to be called when things get too heated. Helping your child to not just controlling their outward behavior, but also controlling their internal responses is also important. Anger is a normal, usually healthy, human emotion. However, when it gets out of control and turns destructive, it can lead to problems, problems at school, in friendships, at home, and in the overall quality of life. Maybe your teenager’s anger is the type that won’t let up, no matter what you say or do. He wakes up angry, goes to bed angry, and lets everyone know he is angry. If so, to get him into anger counseling is encouraged. Angry teens release their anger somewhere and cause serious issues for your teen’s future. So get them help in managing it if they are consumed or overwhelmed. Finally, DetoxCentral has brought up a very true and vital subject. “Science develops 1000's of chemicals to add to food and drinks, another branch of science discover 100's of personality disorders.” It really is all about business and money, always trying to find new problems new things to blame them on. These “anger issues” could easily be resolved with good parenting. Thanks for some other magnificent article. Where else may anyone get that kind of info in such an ideal approach of writing? I have a presentation next week, and I am at the search for such info. How can you determine whether the teen has any anger disorders besides IED ? I just located your web a couple of days ago and I have been completely reading through it all regularly. you possess a large vary of important information on the placement and I also in addition really love the precise style of the spot at the exact same time. continue the good work! Quite interesting. I feel you made helpful and valid points in this writing. I agree with you completely and am thankful I had the opportunity to see this.